Bestselling Author of The Positive Worker: Developing A Winning Attitude at Work and Beating Bipolar Teaching Optimism At Work, Improving Mental Health and Fascinating Experiences Meeting 4,000 Notables. 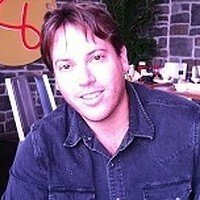 Blake is an author, coach and founder of BipolarOnline.com. He has shared his journey with mental illness on television, YouTube, at many organizations, companies, and events. He is the author of the books Beating Bipolar, Depression, Bipolar and Heroin and the 2017 release The Depression Diet. Blake’s mental health education includes doing a national tour on camera with Dr. Drew Pinsky teaching college students about bipolar disorder. He was engaged on The Dr. Phil Show where he proposed on air to his now wife of 10 years. Earlier in Blake’s youth, he was known for his meetings with celebrities. He began at age six collecting autographs and interviewing notable figures. A few of the 4,000 notables he met in person include Mother Teresa, The Dalai Lama, The Rolling Stones, Paul McCartney, Michael Jackson, Ella Fitzgerald, 7 United States Presidents, Mikhail Gorbachev, Tom Hanks, Steven Spielberg, and many others. He created a documentary titled Rap Therapy. The film explores a therapy tool Blake discovered in college. It is to teach children to write hip hop song, dance and art about their lives. In the film, Blake works with foster children at The Salvation Army. During the project, Blake interviewed 50 Cent, Russell Simmons and Revered Run. Blake shares his story of living with bipolar disorder and how with proper therapy, support groups and medication he has been able to live a full life. His educational talks are inspiring and the goal is to provide hope for others impacted by these issues. Blake has done many talks over the last several years. They include numerous chapters of The National Alliance on Mental Illness, The Depression and Bipolar Support Alliance, Eli Lilly, The Equal Opportunity Employment Commission, The Salvation Army and others. Find out more about Blake LeVine at http://www.blakelevinecoaching.com.